It's a question that has vexed anyone who has ever watched those 50 balls spinning before shooting out one by one. How to win the lottery? Whether you're dreaming of bigger prizes, such as the Euromillions, or the UK lotto, are there really any surefire methods of scooping that life-changing jackpot? Well, believe it or not, there are ways to improve your chances. When considering how to win the lottery, here's what you should appreciate about the statistics: given the scale of the competition, your chances of actually winning are tripped-up by the maths. You have a one chance in 14 million of picking the actual jackpot numbers. But don't let that put you off! Here's another fact, perhaps more obvious than the stats - people win a share of the prize money every single week. And if it was the same people that won, or if nobody ever did win, the lottery would stop. Yet is continues, week in, week out. 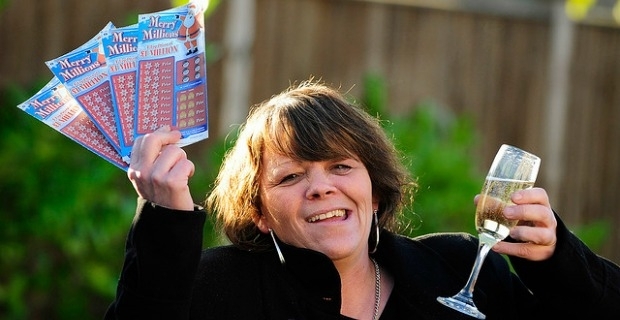 Camelot's own research shows that over a million people win some sort of lottery prize after every draw. In fact, since the lotto began in the UK, it has created over a thousand millionaires. The commonest approach is to shorten those 14 million to one odds. Each separate line you buy will do this. If you get together with friends, or perhaps a syndicate organised through a social club or your work, you will increase your chances. (The drawback would be having to split any winnings). Many people choose birth dates, which means the numbers 30 or 31 appear more frequently in lines. If you've avoided these choices, you stand do increase your cut in the event of winning, as you won't be sharing with so many other participants. Much as the TV commentator comments about how frequently a certain number has appeared, ignore that. The balls are not animate objects with memories - they operate completely randomly! As you fill in the card, don't be tempted to even out your numbers. There is the same chance of getting all the numbers below ten as spread over the fifty. To reiterate, there is no magical formula about how to win the lottery. But you can increase your chances simply by playing online. This means you are more commited, and will compete every week. The nightmare scenario would be not to bother - due to illness or holidays or whatever - only to see your usual numbers appearing on the television screen. Try your luck with a scratch card!